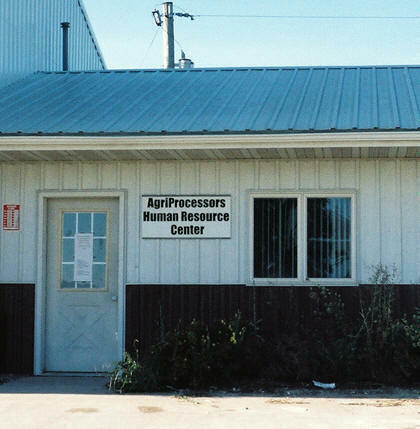 In May, immigration officials raided the Agriprocessors kosher meat plant in Postville, Iowa, uncovering health and safety violations and illegal, dangerous employment of minors. Last month, NCL sent Reid Maki, our child labor expert, to Postville to observe a community still reeling from the upheaval. Reid observed the community's reaction to the events through the eyes of the residents: a local radio deejay, a former underage worker at the meat plant, the religious community that's keeping the affected immigrants afloat.